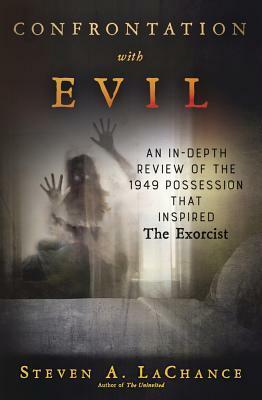 For Steven A. LaChance, the possession case that inspired The Exorcist has always felt . . . incomplete. In this book, he shows how the official account crumbles under scrutiny, revealing instead a story of familial horror and spiritual corruption that implicates the highest levels of the Catholic Church. Known as the 1949 St. Louis Exorcism, the harrowing story of a possessed child and his terrified family was immortalized in The Exorcist. While theories and rumors about the case abound, none of them explain how a young child could have been possessed to the degree described in Father Raymond Bishop’s infamous diary. Join Steven A. LaChance—author, investigator, and himself the survivor of a long-term demonic attack—as he shares shocking evidence for how seemingly benign events progressed into a full-blown demonic possession. While the conventional story is that the boy brought the infestation upon himself, this book presents an alternative interpretation and provides new insights into the nature of possession itself. As LaChance gains access to a secret location that plays a crucial role in the story, he sheds new light on how the exorcism’s bizarre aftermath continues to haunt the city of St. Louis and the Catholic Church to this day. This book and I didn’t get on. The author ‘investigates’ the original case which inspired the 1970s film ‘The Exorcist’. In 1949, a 14-year-old boy begins exhibiting strange behaviour which was associated with demon possession. His mother contacts the Catholic church to help the situation, leading to a long process of exorcisms and church intervention. This would have been fascinating to me if the author wasn’t so hellbent on pushing his own agenda – instead of taking a balanced approach to his investigation and even entertaining the possibility that demon possession wasn’t the case (even if you believe in the idea of demon possession, you would have to consider whether or not this was the case in this instance), he bends all of the supposed facts to prove his point. Early on in the book, I knew that I wasn’t going to get on with the ideas that I would be reading when the author states that demon possession is often mistakenly diagnosed as mental illness. Firstly, is there a more literal way of demonising mental illnesses?! Secondly, there was no mention of this boy having been taken to see a doctor at all anyway. Sure, it was 1949 and he probably wouldn’t have had a great diagnosis or treatment but I like to think that it would have been less cruel than what he did have to endure. The author estimates that he was seen by 48 different priests during the period of his ‘possession’, during this time he was physically restrained, slapped and even ‘slugged’ which I assume to mean that a priest punched him in the face. Yes. A priest. Punched a 14-year-old boy. In the face. I wasn’t able to detect any feeling of pity for the kid either, or even the suggestion that this treatment was wrong. Sure, there was the accusation that his mother had sold his soul to the devil in order to find out where his deceased aunt had left her fortune and that some of the priests took the wrong approach in their exorcisms – but the author didn’t really consider any other treatment for the boy other than the religious. I’m pretty open minded when it comes to the supernatural, I believe that there are indeed more things in our heaven and earth than dreamt of in our science… but I think that in this case, I would struggle to believe in demon possession unless the poor boy had been fully evaluated by a mental health expert. Even then, the diagnosis and treatment of mental illnesses wasn’t exactly sophisticated back in 1949 (it’s still got a long way to go today!) so it would have taken a more convincing book than this to make me think the boy was possessed. All this said, the writing style is compelling and well paced – it’s the content that got me riled up. Had I known ahead of time that this was a religious read, I would have given it a swerve. If you’re a believer or a fan of religious investigations, this may well be the book for you.